YOUR path to passionate aging and inspirational planning! LIVE vibrantly! PLAN thoughtfully! AGE dynamically! ​Let LLPI help you on your journey to LIVING LIFE THROUGH YOUR BUCKET LIST! Excited to welcome International Bestselling author, John Gray, creator of "Men Are From Mars, Women Are From Venus," to the Aging GreatFULLy Show! We will talk about his NEW book, "Beyond Mars and Venus" and much more! AWESOME welcoming Dr. Steven Gundry, author of The Plant Paradox onto the Aging GreatFULLy show! ​​Loved being a speaker on the Miraculous Healing Summit with 23 fabulous World Renowned Authors, Speakers and Healers talking about Planning for the end, and how it is a healing experience for living your Best Life Now! Thank you, host Dr. Erica Goodstone! 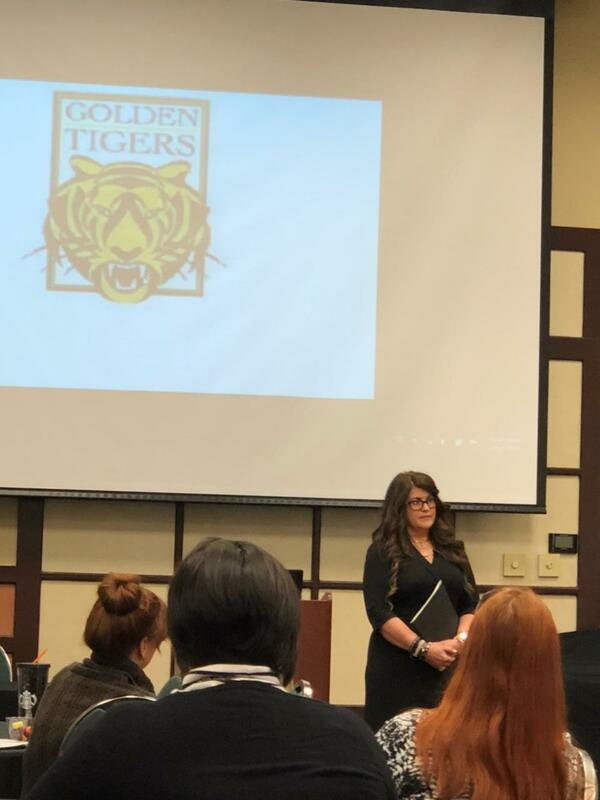 Thank you Brenau University for inviting me to be your Gerontology Conference Keynote speaker to discuss Death and Dying and Life and Living ! Your GRAND New Beginning! A fun speech! So much FUN bringing my Workshops with Flair and FUN to Florida's Space Coast! Are you ready to plan and LIVE your bucket list? Request one today! LLPI: WHO we are...WHAT we do...and HOW we do it!? Experienced authorities in our field, we'll have you loving the life you're in at any stage and any age! We will positively change your perspectives on life, living, death, dying, and even growing older. We're a highly specialized gerontology consulting firm here to serve you and remind you that "age is just a number!". LLPI practices life-elevating approaches that encourage healthy attitudes towards aging, and inspire thoughtful end-of-life initiatives. We believe life just gets better with age! We focus on enhancing life's incredible journey because we know that life IS the grand adventure! And enjoy the journey! 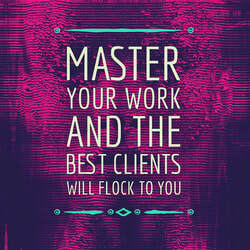 ​At LLPI, we help you do just that! 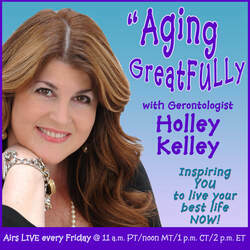 Gerontologist Holley Kelley LLPI Founder brings her expertise to the airwaves every Friday on her global radio show, Aging GreatFULLy! And to conferences, corporations, groups, individuals and audiences through her inspiring workshops, consulting, and key note speaking venues! Learn more about they many ways can help you Age GreatFULLy! At LLPI, we bring enlightYOUment and inspiration to every life we touch! Consulting Services! Retirement, EOL Planning, Aging Parent, etc. BLOG with Flair, Finesse and FUN & MORE! LLPI is all about encouraging everyone to Age GreatFULLy! And that is what inspired LLPI founder, Holley Kelley to host Aging GreatFULLy! Dispelling aging propaganda, encouraging life adventures at every age and stage! Broadcasting worldwide every Friday on the CTR Network at 11amPST, NoonMT, 1pmCT, 2pmET featuring fantastic guests and enlivening show topics! A Tribute. A Salutation. A Tributation! For some, retirement transitions are seamless. However, there are many that truly struggle with the changeover and the challenges in doing so affect their partner and loved ones too! LLPI has retirement success solutions to ensure your retirement is everything you dreamed it would be and MORE! "Final Affairs for Bucket List Living" WORKSHOPS for you, your family, group or organization! Get YOUR affairs in order with Kelley's dynamic & proven 12-step process she designed called "CREATED PEACE." Workshops Promise to be FUNdamentally productive, socially savvy, comprehensive & cure all tendencies for procrastination! LLPI's Speaker's Topics are very popular because of our relevant messages conveyed in a novel spirit of authenticity and FUN! Offering an array of relevant and worthwhile topics for your group or organization, including a seasonal lineup. We deliver transformational speeches at conferences, groups and conventions. Contact LLPI to book Holley to speak to your group today! The GerontHOLLEY Newsletter is what you get when a GERONTOLOGIST named HOLLEY publishes a newsletter! This publication is an inspiring subscriber-exclusive authored by Kelley herself. Tips, tales, and trials to entertain & educate! An inspiring quick read you're sure to enjoy! Be sure to subscribe so you don't miss yours! Sunrises and Sunsets: Final Affairs Forged with Flair, Finesse, and FUNctionality quickly made an Amazon #1 New Release and is a national and international multi-award winning book authored by LLPI founder, gerontologist Holley Kelley. This is a truly innovative and delightful way to plan for the end and inspire YOUR new beginning! Did we mention it is FUN? Buy a copy of the book here here or Amazon. From "Lunch-n-Learns" offered to businesses and organizations on a variety of topics to educational forums and seminars! Our goal is to educate, inform, and enlighten to create an environment of learning and knowledge on a of variety of topics. Custom topics too! Please inquire! BLOG with Flair, Finesse & FUN! BLOG with Flair, Finesse, and FUNctionality! Kelley believes if it's worth doing, it's worth doing with flair and FUN! And LIFE should be too! Her BEST LIFE NOW message continually inspire and encourage readers, clients, and listeners to live in the moment in her monthly BLOG! Be sure to read it! Whether you are a family, individual, organization, group or business, LLPI provides professional expertise, guidance and information about aging dynamically and thoughtful end-of-life planning initiatives. LLPI is like having a gerontologist in the family! We're there to call in in a time of need and guide you through the challenges and inevitability life may bring. We're outstanding in our field because we focus on the positive and encourage you to do the same! Our clients are OUR number one referral source and come from all over the world! Contact LLPI today to ensure you or a loved one receive expert guidance for their aging journey, retirement transition, workplace education, or obtain the finest assistance for end-of-life preparedness! LLPI...the path to Educate, Inspire, and Enlighten! "Sunrises and Sunsets book signings have been fantastic events! The opportunity to meet readers of the book in person has been delightful and heart-warming! I have been amazed at how far people have driven to meet me and buy the book! I look forward to the events planned for the fall as I truly love meeting readers of the book and am so rewarded knowing it will land in the hearts and homes of more people who will thoughtfully and lovingly plan for their departure and be inspired for their new beginning while doing so!" Latter-Life Planning Institute at International NFDA Trade Show in Indianapolis! Aging GreatFULLy is gaining momentum every month with ONE THOUSAND NEW SUBSCRIBERS A DAY! to listen, share or subscribe to the show! "never act their age" and "age is just a number!" We age GREAT and FULL together in the spirit of gratitude and we have a lot of fun! Aging GreatFULLy guests and listeners are the BEST! "Final Affairs Forged for Bucket List Living!" There's no better way to get your affairs in order than with our FUNdamental approach ... Workshops with Flair and FUN! Request one today for your group or organization and get on the CREATED PEACE side of living! You'll be glad you did! workshop information - request a workshop for your group... CLICK HERE! LLPI...Your Path to dynamic aging & Inspirational Advance Care Planning! It's what we do! AGING Experts! Final Affairs made FUN! Consulting! Key Note Speaking, Education. Sunrises and Sunsets Book...while we CAN'T choose WHEN, we can choose HOW! Tributations...Unordinary Tributes for Extraordinary LIVES! Latter-Life Planning Institute...inspiring YOU to live your BEST life NOW!